Again, the website Patently Apple reveals an interesting patent obtained by Apple this week in the Records Office of Patents and Trademarks of the United States. We know the good habit of taking care of Apple packaging of its products and the company wants to go a step further with the boxes of our devices. In the picture we see an iOS device (an iPhone or an iPod Touch) in his usual box. Once we opened the package, we find that the box actually can also double dock for the device. Thus, dock and iPhone, iPad or iPod Touch come included in the same package, which also would have a hitch connector Lightning. A brilliant idea embodied hope to see you soon. 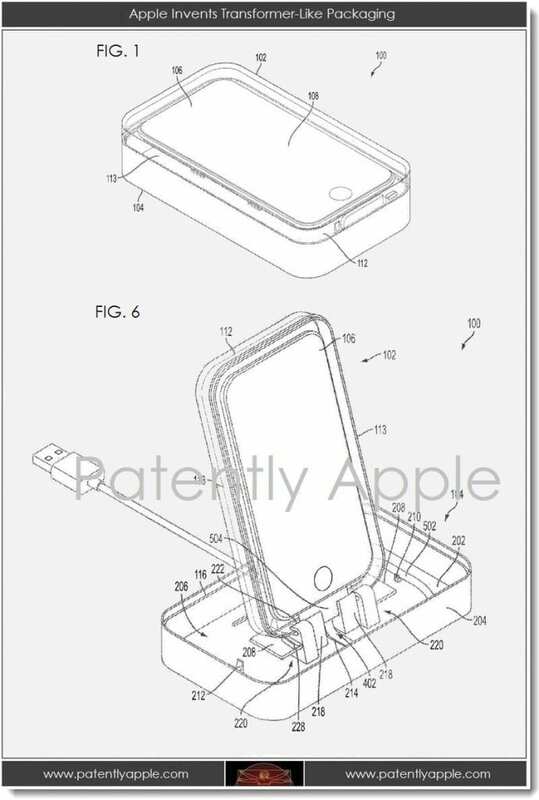 Article New Apple patent: iPhone Case turns into a dock was originally published in News iPhone .